Today in Masonic History Quintín Babila Paredes passes away in 1973. Quintín Babila Paredes was a Filipino jurist and politician. 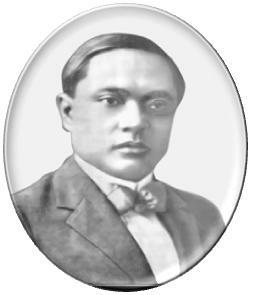 Paredes was born Quintín Paredes y Babila on September 9th, 1884 in Bangued, Abra, Philippines. His primary education came from the school his father founded. He would go on to study at the Colegio Seminario de Vigan and the Colegio de San Juan de Letran. He pursued his law degree at Escuela de Leyes. He graduated from there with a Bachelor of Arts, a Bachelor of Law and a Master of Arts in 1907. That same year he would be admitted to the bar and begin practicing law in Manila. Paredes served in several civil service positions including Philippine Solicitor General, Attorney General and the Secretary of Justice. He would serve in these positions consecutively starting in 1917 and going until 1921. He would serve in each position for two years. In 1919 as the Attorney General he would travel to the United States as part of the first parliamentary mission in 1919. In 1925, Paredes was elected to the Philippine House of Representatives. He would be elected 4 times serving until 1936. During his time in the House he would as Speaker of the House pro tempore and later as the actual Speaker of the House. In 1936, Paredes became the first Resident Commissioner of the newly formed Philippine Commonwealth Government. He resigned the position in 1938. In 1938, he was also elected to the Philippine Assembly. In 1941, he was elected to the Philippine Senate. His term was four years ending in 1945. That Senate did not sit though due to World War II and the Japanese occupation of the Philippines. After the war he would run again for the House of Representatives. He would regain his seat and serve from 1946	to 1949. In 1949, Paredes was elected to the Philippine Senate. He would serve two terms there which ended in 1961. During his time in the Senate he would, briefly, be elected President of the Senate. He retired from in 1963. Paredes passed away on January 30th, 1973. Paredes was a member of Sinukuan Lodge No. 16 in Manila, Philippines.